In what can only be described as a win for gender equality throughout time and space, The Hollywood Reporter says that the BBC has confirmed that new Doctor Who star Jodie Whittaker will be paid relatively the same amount as outgoing Doctor Who star Peter Capaldi. Specific numbers weren’t revealed, but BBC director-general Tony Hall said that there would be “parity” between the two Time Lords, and it sounds like she’ll be making somewhere between $260,000 and $325,000. This news comes on the back of a big controversy coming out of the BBC, which recently revealed that there’s a huge pay disparity between its male and female employees. Apparently, former Top Gear host and BBC Radio 2 personality Chris Evans made the equivalent of $2.9 million last year, which was five times more than the highest paid woman. 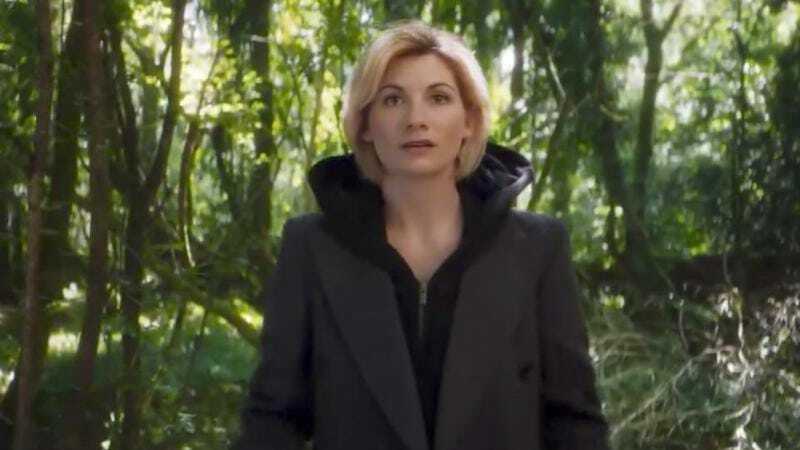 The Doctor Who news isn’t necessarily proof that things are changing, but much like Whittaker’s casting, it does hopefully indicate that things might improve eventually.